I so wanna go there someday!!! Are they even real.. ? I mean.. the "tapasya" ?? Wrong question , i guess...! But tell me more, how was it!!??? @indrayani ohh yes thts me thnx for the compliment!! thts a very importnt pic for me.. thinkng of framing it and putting it in my room! 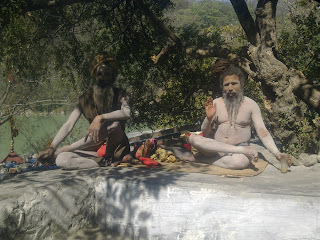 i knw it's vry complicated for us to answer but maybe they r sannyasins thy r living lyf thr own style! 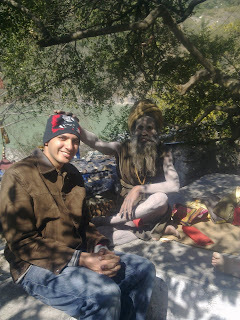 it was way too cool.. it totally freaked me out.. r u on fb thn add me as a frnd.. i have more pics thr.. rishikesh is heaven! Very nice pics. 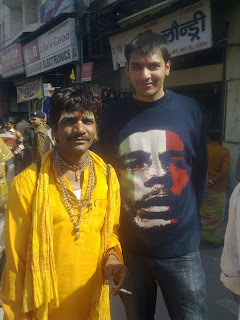 I went to Haridwar about one year back, but I am sure on these ocassions it is different. Freedom in many different choices of life. Nice pics. @meow thts wonderful thn m sure he must be full of wisdom and wise sayings!! it's a gr88 place u shld visit it !! @priyanka hahaha!! thn we will run a series of various kumbs in the country.. thnx for the compliment! @BK Chowla yes it is quite different and grand!! its grandeur is spell bounding!! @priya quite true! whateva gives them happiness!! 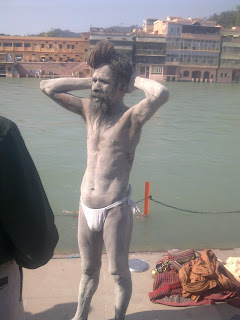 Recently wrote 2 post one on Kumbh Mela and the other on Naga Sadhus. 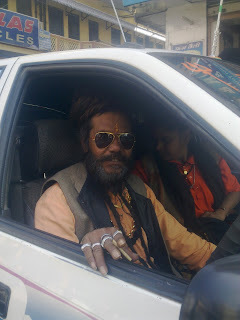 There is lots of misconception about Naga Sadhus here in western world so..wrote that post to clarify few things.